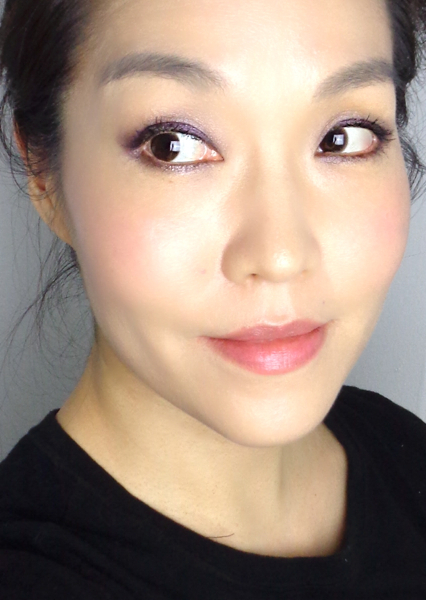 Shu Uemura Face Architect Illuminating Moisture Fluid is my new reigning winter foundation. 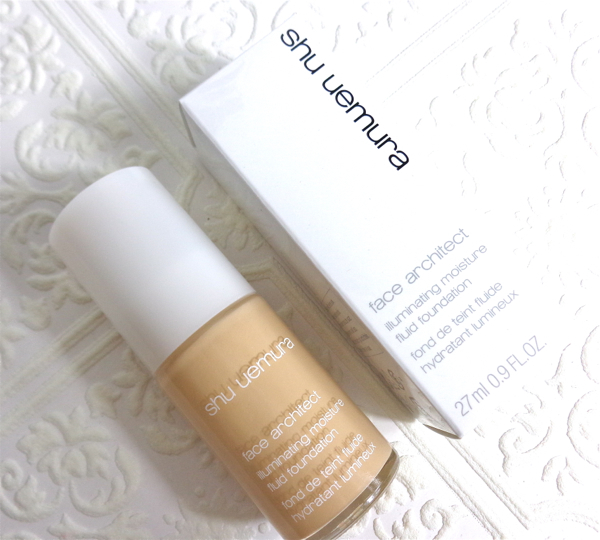 I am a little bummed to find out that Shu Uemura USA site does not offer this foundation any longer as they have introduced the new one called "Light Bulb Foundation". Shu Uemura Face Architect Illuminating Moisture Fluid still seems to be available elsewhere since the product info is seen on the international site. Maybe the new Light Bulb foundation is replacing the Illuminating Moisture Fluid, but I thought it was still worth posting since the color range is the same. Plus the descriptions for these two foundations sound about the same to me as they both provide luminous finish with medium to high coverage. Shu Uemura Face Architect range offers three different types of foundations, and the Illuminating Moisture Fluid is designed to provide flawles and glowing complexion. This also has heavier coverage compared to the Smooth-Fit variation. Finding a right shade in foundation is probably the most important thing for me. The finish and the wear come after that. 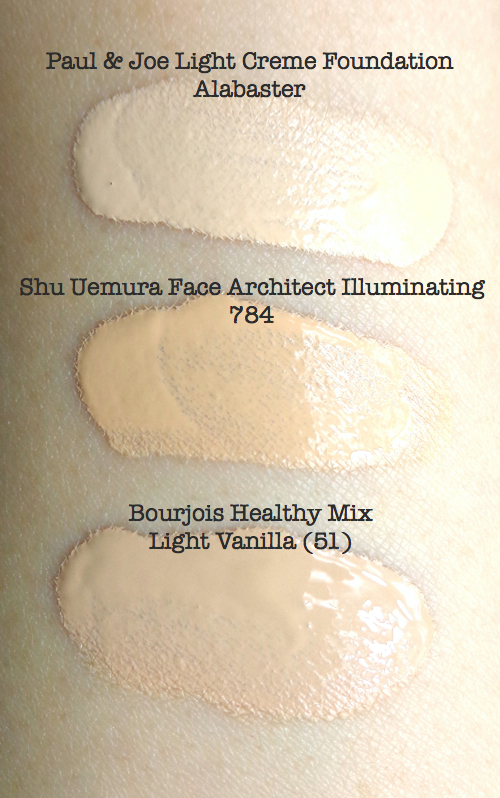 Shu Uemura Face Architect Illuminating Moisture Fluid in 784 Fair Beige is the greatest fit to date in terms of shade. 784 Fair Beige is a bright beige with strong yellow undertones. 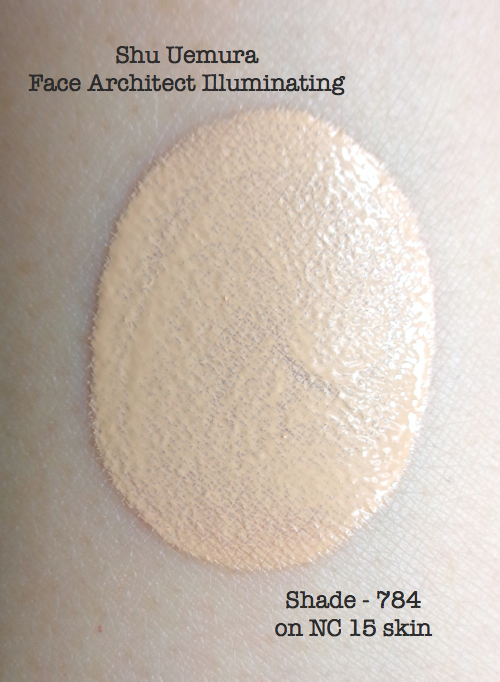 I don't mean "exact" by saying "the greatest fit" since Fair Beige is a tad darker and more yellow than my own skin as you see in the swatch pic. I am naturally a little lighter than I was in summer, so Paul & Joe Light Cream Foundation Alabaster would be the closest in color intensity, and the Bourjois Healthy Mix Foundation 51 (Light Vanilla) has the best tone match. Aforementioned two other foundations are excellent matches for me and I reach for them often depending on the type of finish I go for on each day. However, I must say the Shu Uemura gives me the most beautiful finish once applied. 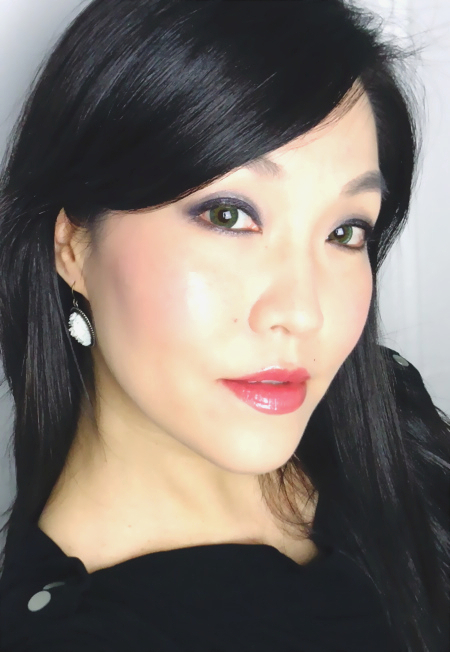 Of course, it delivers the gorgeous glowy complexion as it promises, but it is also the particular color that evens out the ruddiness on my face as well as blends in seamlessly with my neck color (which is slightly darker and more yellow than my complexion). The finish is initially so very flattering but it doesn't do a very good job controlling oil. This pic, which is a very good example, was taken at the end of the day, and the finish is borderline shiny. I, who has combination skin, cannot really complain about this since the Face Architect Illuminating Moisture Fluid is not the longlasting oil-controlling kind, and it does not promise any of that, either. However, you can count on this foundation for luminous finish and comfortable wear as the name suggests. The foundation seems to be unscented and but smells a bit like paint. It is not too strong to bother me, though. It could go on pretty heavy, so I find the best application method for me is working on small sections using a foundation brush. I ended up discarding those green contacts after taking the pic (because I hated it so much), but you can see the Face Architect Illuminating Moisture Fluid in action, performing nicely as it should make my face glow! I have also worn this foundation in my recent holiday look. This is a lovely choice if you are looking for a pale yellow foundation with illuminating finish and good coverage. 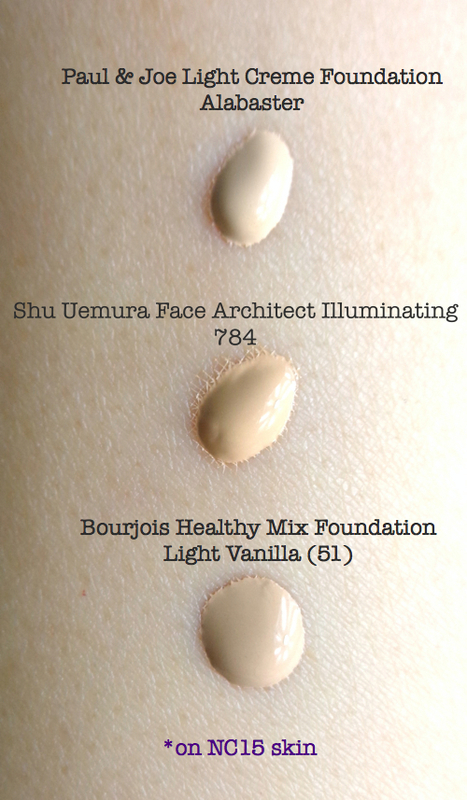 I myself am convinced to try another foundation range from Shu Uemura (um, Light Bulb?) because I love this particular color so much not to mention that now I have experienced yet another high quality product that Shu offers. 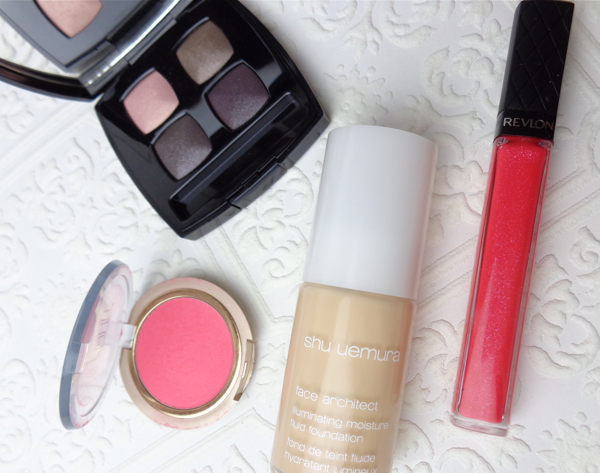 Have you tried anything Shu Uemura foundation range? What is your favorite foundation with luminous finish? You look so beautiful, Lena! I am swatching this in my Shu counter as the finish looks soo beautifully glowy!